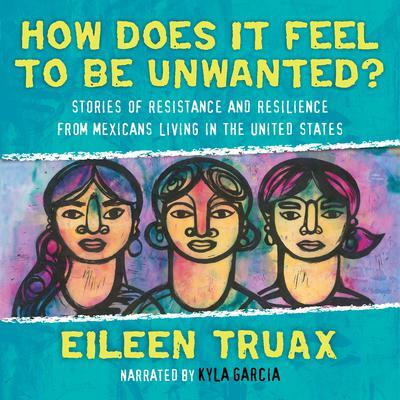 In an era of increasing anti-immigrant sentiment and bigotry, each of these 13 stories illuminates the issues affecting the Mexican community and shows the breadth of a frequently stereotyped population. Dreamers and their allies, those who care about immigration justice, and anyone interested in the experience of Mexicans in the US will respond to these stories of Mexican immigrants (some documented, some not) illuminating their complex lives. Regardless of status, many are subjected to rights violations, inequality, and violence--all of which existed well before the Trump administration--and have profound feelings of being unwanted in the country they call home. There's Monica Robles, the undocumented mother of three US citizens who is literally confined to a strip of territory between two checkpoints--one at the Mexico border and one twenty-seven miles north of the border. We meet Jeanette Vizguerra, who came to symbolize the sanctuary movement when she took shelter in a Denver church in February 2017 to avoid deportation. (Later that year, Time magazine named her one of the one hundred most influential people in the world.) There's Daniel Rodriguez, the first undocumented immigration lawyer in Arizona to successfully obtain a license to practice. Alberto Mendoza, who suffered persecution as a gay man for years, in 2013 founded Honor 41, a national Latina/o LGBTQ organization that promotes positive images of their community. After crossing the border illegally with his mother as a child, Al Labrada later joined the military to get on a path to citizenship; in March 2017, he was promoted to captain in the Los Angeles Police Department. These and eight other stories will broaden how you think about Mexicans in America.